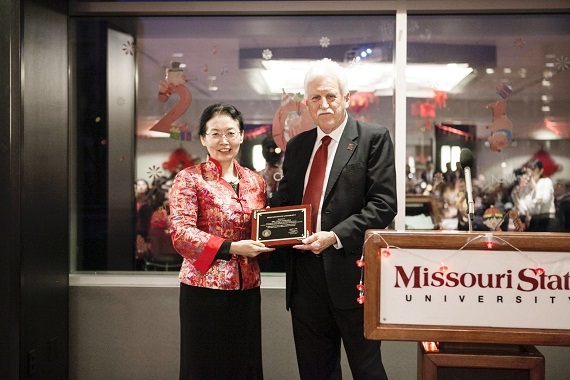 On February 8th, 2019, Missouri State University (MSU) held its 2019 Spring Festival Banquet and Gala. 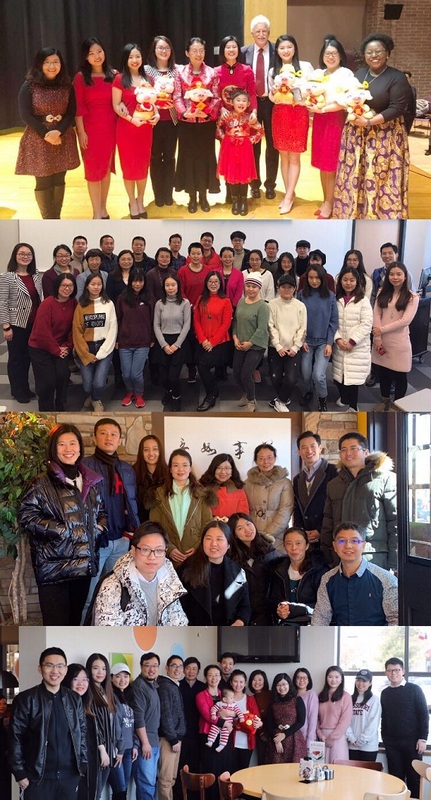 Organized by MSU’s Chinese Students and Scholars Association (CSSA), this annual event has now become a celebratory staple for MSU teachers and students, as well as local community residents, to bring in the Chinese New Year. 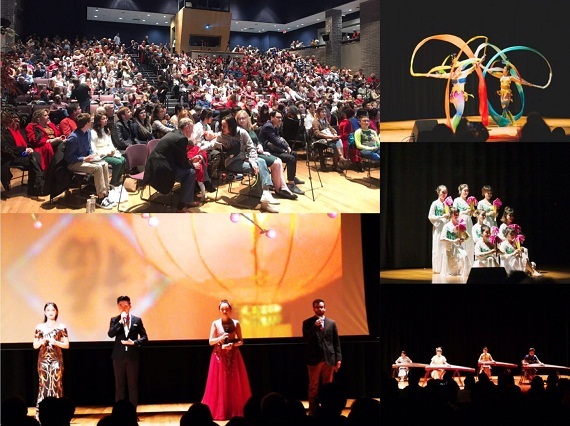 This year's event saw roughly 600 Chinese students and scholars, school staff, and locals from the community in attendance. Counselor Chen Yinghui and Deputy Consul Liu Jiaming of the Chinese Consulate General in Chicago and Vice President Jim Baker, Dean Frank Einhellig, and Assistant Vice President Brad Bodenhausen of MSU were invited to attend the event. In her opening remarks, Counselor Chen Yinghui extended New Year greetings and wishes to the event-goers and expressed her appreciation for the devoted efforts on behalf of CSSA and MSU’s China Affairs Office in bringing this event to fruition. She continued that over the past several years, MSU has progressively deepened and expanded exchanges and cooperation with universities and institutions in China and here, within the walls of their own university, has always provided high-quality education and comprehensive services to their Chinese student population. The Chinese Consulate General in Chicago highly supports MSU’s cooperation with China, not only to the benefit of MSU’s own Chinese students, but in order to get more American students at MSU over to China. Vice President Baker stated that MSU cherishes its cooperation with China. In his opinion, this cooperation is not only beneficial to MSU and universities in China, but it also gives local community members a chance to interact with, and therefore better understand, Chinese people and their culture. On behalf of President Smart, he presented the School Honor Award to Counselor Chen Yinghui and thanked the Consulate General for its continued support and assistance to the university over the years. The Spring Festival Banquet and Gala was entirely sold out—not a spare seat could be found. Chinese and Americans alike were garbed in traditional Chinese clothing, a sea of red from wall to wall. There were a variety of dazzling acts, twelve in total, ranging from dance to song, from martial arts to interactive activities. There were the floating, traditional sounds and sights of guzheng and ethnic dance, and the more modern, more vigorous, more youthful grooves of contemporary dance and rock band vibes. The Americans in the audience, comprising nearly half of the total crowd, were just as taken aback by these performances as their Chinese counterparts, shaking the auditorium with endless waves of applause. They waved glowsticks and phone flashlights to the beat of the music, filling the dark surroundings with starlight glitter, the frenzied energy of flashing lights and twisting colors giving new and exciting significance to the New Year. Both before and after the gala, Counselor Chen Yinghui and Deputy Consul Liu Jiaming held discussions with teachers and students part of the Ningxia project, international students sent by the Chinese government, representatives of CSSA, and Chinese professors and scholars at MSU, encouraging them to play an active role in furthering mutual understanding and friendship between Chinese and American teachers and students and to make continued contributions to bilateral educational exchanges and cooperation.